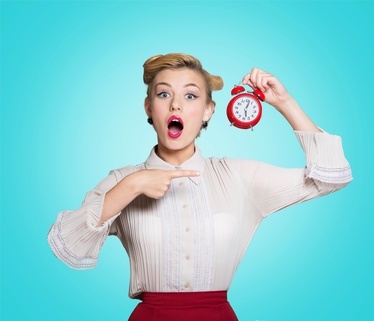 Judy Rodman - All Things Vocal Blog: Vocal Warmups... How Long Should They Be? Vocal Warmups... How Long Should They Be? Is your voice ready? Timing can be everything! Warming up the voice before any performance, including any significant or long vocal rehearsal, is a very wise habit to get into. In the same way you shouldn't do strenuous physical activity before doing muscle warmups and stretches, your vocal cords also need to be prepared, made flexible and coordinated for strong use with vocal exercises. The backstage or guest dressing room area of any event should have lots of strange vocal sounds wafting through the air from singers or speakers about to go on stage! Let's talk about how long you should make these weird noises to be warmed up! Vocal exercises should NEVER cause vocal pain or strain. It's OK if your voice feels stretched, warm, even a bit of 'helium effect' when you practice longer than usual, but it should NEVER feel strained. Vocal exercises (also known as vocalises) sung too hard, too fast, too low or high in your range or performed with incorrect vocal technique can turn a vocal warmup into a vocal tighten up, sabotaging your performance and can even cause vocal strain or damage! So can exercises that are too advanced for your current vocal ability. When it comes to the voice, any pain is no gain! If you don't know HOW to do a vocal exercise, don't do it, just lightly sing a song to warmup instead. But good exercises performed with good technique can do miracles to increase the ability and health of the voice. So ... How long should vocal warmups be? Warm up for 20-30 minutes, gradually stretching your range, re-acquiring that feeling of pulling instead of pushing your voice, using your pelvic floor power to expand instead of tighten your chest and throat. I like to start with what we call 'semi-occluded vocal exercises' using a coffee straw, lip or tongue trills or the raspberry, then do some head voice, middle voice blending, full range legato and staccato scales and then end with sirens. A 10 minute vocal warm up may do just fine to get you limbered up for full voice singing. The most important thing is that you re-remember how to pull instead of push your voice, and that you actually do the exercises... it will make a difference and will protect your voice from strain. Start with some easy vocal exercises in the middle of your range, then continue to vocalize until either you start feeling physically tired (which can keep you from supporting your voice well), vocally stressed (from still-irritated tissue) or you indeed feel warmed up. You may need to warm up very gradually to pump interstitial fluid out of your vocal cords, for an average of 20 or 30 minutes or even longer. How do you tell? If you're doing vocal exercises correctly and your voice is not still too injured to sing, your voice should start feeling better, not worse! When it hurts AT ALL to make a vocal sound, stop. But if your voice is not hurting, just unsteady, pitchy or phlegmy, then keep going. When you can hit all the notes in your range with no discomfort and your passagio (vocal register change) area is smoothed out, you are warmed up and can confidently apply full voice. Important: Unless your voice does feel warmed up, don't sing full voice. Consider cancelling your performance, or if you do perform, sing carefully at less than full volume. If you're practicing, stop till the next day, then warmup and try singing again. If it still feels stressful to use your voice, you might try vocal rest for a few days and try again. If your voice still feels strained or unhappy, go to a good vocal coach who can assess your technique, and/or to a voice specialist ENT for a medical evaluation of your vocal apparatus. Most people don't realize that when you sing or speak for a significant period of time and then stop for a break, even if you're using good technique your vocal cords can swell a bit. Rest your voice (especially limit talking), drink some water, eat a protein snack or meal and then re-warmup for 5 or 10 minutes to pump any vocal cord swelling back down before resuming your performance. Important: At the end of your practice or performance, warm down your voice as well. This is just like a warm-up but is shorter and for contemporary vocal style is more focused on easy head voice vocalizations, staccato scales and sighs to pump out interstitial fluid and relax your cords. Your voice will thank you the next day! On a day you don't have to perform, you don't have to worry about tiring yourself out, so go for it! It can be helpful to devote even more time, 45 minutes to an hour or more, to good vocal exercising. You can challenge (but not strain) your voice a little farther to increase your vocal ability in different areas, work on wider range and better mix, or increase your muscle memory for correct technique - or all of the above! Then, singing well is set on automatic for your next performance! FYI... I have incredibly effective vocal warmups included in both my training courses, Power, Path and Performance, and Singing In The Studio. To increase and protect your vocal ability, do check them out. How do you prepare your voice for performance? Please share in the comments! One of our female vocalists used to go in the bathroom before practice and give out a big yell before starting our sessions. She said it was effective, but I have never tried it. I do know that warm ups are very important because I notice that if I do not, then my voice doesn't "fall into place" until about the 5th or 6th song. Also, I noticed that I can sing a lot better than I used to and want to take lessons, but can't afford it. People who I know are objective have noticed that I sing better. Cool Miguel. As to training... there are ways to do it economically when you're ready. Thx for the comment! Excellent article, Judy! Precise, clear and super helpful. Thank you so much for posting. Thanks Judy, I am in rehearsal for Nunsense, and have not done much singing for along time. Really struggling, but your words are helpful as are others, I am using a steamer to also help lubricate my vocal cords, does seem to help. Thanks for your important information. Dear 'unknown' in rehearsal for Nunsense... you may wish to subscribe to my newsletter and get a 5 page report with vocal health tips and information as a signup bonus. You can always unsubscribe later if you don't find the newsletter helpful. If you still have trouble,consider a 1/2 hr vocal lesson with me. I wish the the very best as you get your vocal cords in shape for your upcoming performances! Voice Fried, But Band Rehearsal Beckons?